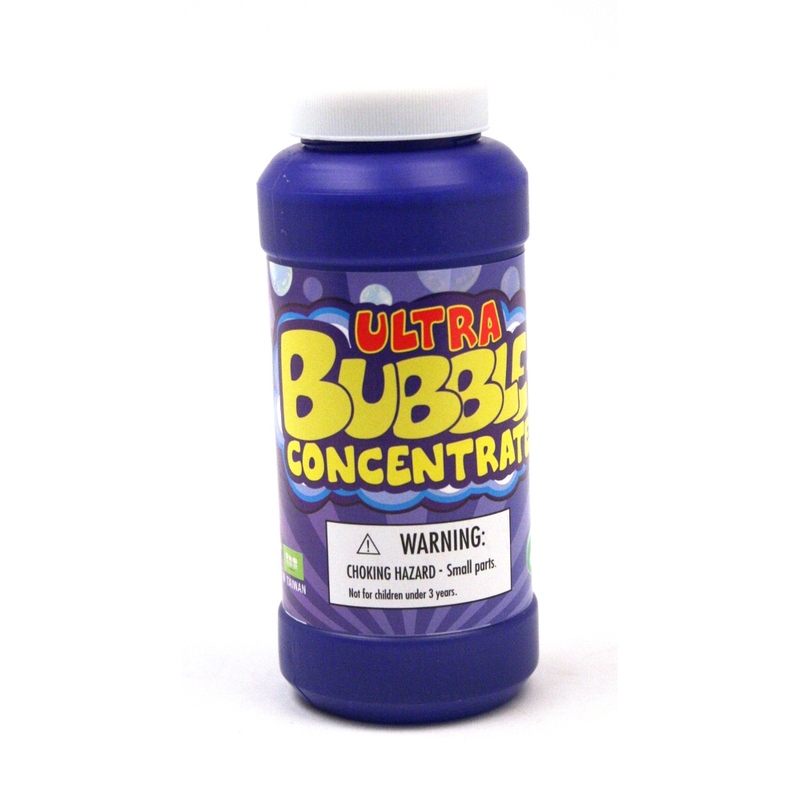 Advancing the science of bubble technology, Uncle Bubble has done it again with these fun and amazing unbelievabubble refill bubbles. 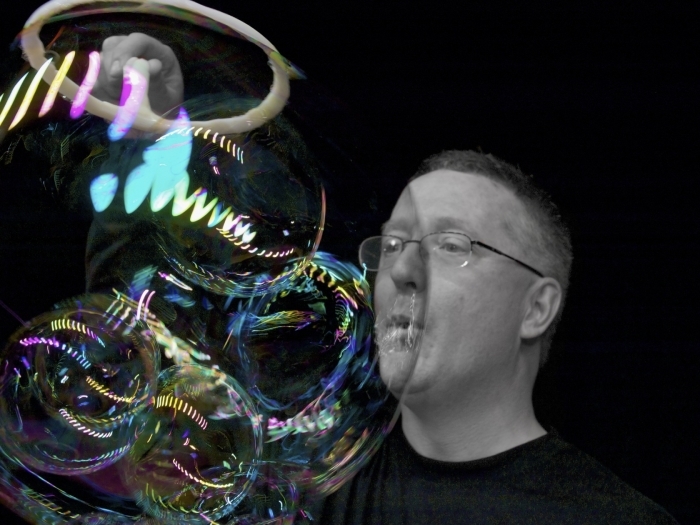 These bubble will defy physics and you won't believe your eyes with these fun and entertaining bubbles. The unbelievable bubble concentrated refill will produce 1 gallon of bubble solution when mixed with water. This bubble solution is a refill for the unbelievabubble wands and for the ultra bouncing bubbles. So stock up on this amazing bubble solution, because when you run out of the bubbles that come with the bouncer and wands you will already be wishing you had more of this great bubble solution. This was a great concentrate making 72 oz of bubble soap. The easy ordering and fast shipping made this purchase as one great expirience. I use this in my bubble shows. You've got the best price here. Thanks! For almost 2 years now I've been using Uncle Bubble Concentrate (mix 9 parts water to 1 part concentrate) in my professional bubble shows. I know pros on other continents who are doing the same. That should tell you a couple of things: 1. It reliably makes unbelievably big & strong bubbles able to do amazing tricks in many environments. 2. If a pro is willing to be elbow-deep in a soap solution for hours on end, getting it in our eyes, our mouth... you can be sure it's safe and mild enough for your kids to play with. Disclaimer: I would promote Uncle Bubble even if they didn't give me a discount on product as a way of saying "thanks" because I believe a high performing, tested-safe bubble concentrate is something the bubble world has been waiting for for a long time. It is ridiculous in this day and age to be shipping cheap bubble water half way around the world. Not only is the fully watered stuff disappointing to use, it is environmentally irresponsible. Uncle Bubble brand is a small company, family owned & they care about quality control. I've been waiting a long time to tell as many people that I can about a product like this. I'm also happy that this seller, over time, has offered UB Concentrate at the best price to be found on the www. Thanks for that. Keith Johnson. Bubble Artist.